Her exhibit, Webbed, opens Friday, December 6 and runs through January 27. A meet-the-artist reception will be held during Art on the Town, Friday, December 6. I make it a goal to keep my work new and fresh, but the visual inspiration always comes from great artwork. 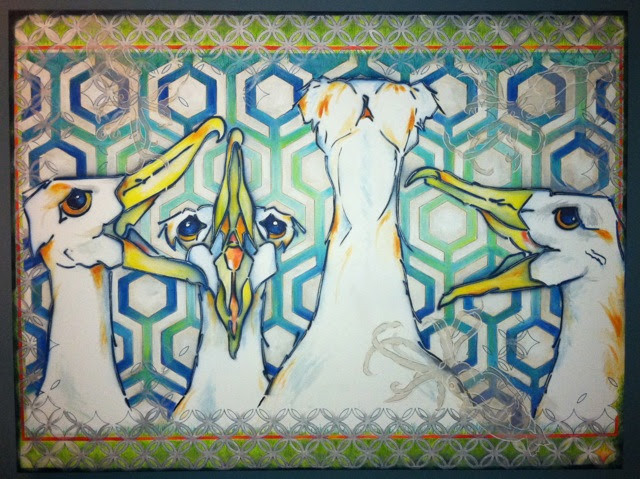 This particular series started with the theme of sea birds. I then used abstractions of their food sources to create the intricate background designs. The inspirations come from my work at the Purple Parrot in Rehoboth, Charlie Harper the graphic artist, Swoon and Banksy's street art, as well as the work of Frank Stella. 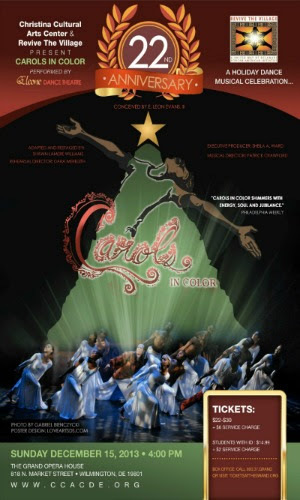 Get your "Carols in Color" tickets NOW! Click the image above to purchase!